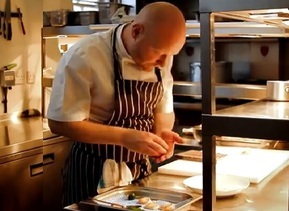 With a Michelin Star and 3 AA Rosettes to his name, Chef Chris Bower's event business Olive & Thyme delivers extraordinary catering and private dining experiences with the skill, elegance and imagination of a Michelin Starred chef. Patri evokes the tastes and aromas of foods found at India's iconic railway stations and on board its epic train journeys. Founder, Puneet Wadwhani (founder and creative director of independent street food chain, Chai Naasto), has created a never-before-seen menu bringing to life the snacks and dishes he once ate as a child growing up within a bicycle ride of New Delhi train station, and of those he remembers eating on board India’s great rail journeys. The Retro Sunday Carvery at The Holiday Inn is a refined but relaxed weekend experience with touches of old world elegance. Sunday roast, cooked using prime local ingredients, is served table side from a vintage carving trolley evoking the retro glamour of the 1960s hotel restaurant. Within three weeks of opening, Thali Ho scooped up the award for 'Best Casual Dining Restaurant' in the London suburbs at The Asian Curry Awards 2017. Brothers, Shamim and Shah Malek have realised a ten year long dream to open a contemporary, street food style Indian restaurant using home recipes gathered from their families. Multiple-award winning restaurant with a focus on casual, sharing and family-friendly menus. Street food vendor, Pigling Street, deal exclusively in rare breed Blythburgh pork for their exquisite baps and boxes at street food markets on Brick Lane, Sclater Street and pop ups across London. Pioneers of gluten-free foods, Beyond Bread have grown since 2015 to become London's leading gluten-free all-day restaurants with outlets in Fitzrovia and Islington and a Selfridges pop-up. Executive Chef, Kentaro Torii, was born in Japan and trained at catering college in Tokyo. He spent three years in Italy mastering the art of Italian cuisine. At Bella Cosa, a fine Italian dining experience in Canary Wharf Torii's precise technique and spare presentation bear all the hallmarks of Japanese cuisine and all the flavours of Italy. Chai Thali Indian Street Food Bar & Restaurant serves authentic dishes, from the traditional to the very modern, made from recipes sourced from across the subcontinent. Cocktails are an important feature offering a fun and spicy twist on European classics. Open all day for breakfast, lunch, dinner and innovative twists on hot drinks such as turmeric latte, kadak chai and sweet and salty lassi. Meryen and Joe Mortell are the mother and son team behind Zayane Moroccan restaurant in the heart of London's Notting Hill. Since launch in February 2016, Zayane has been three times awarded a coveted Michelin Plate for 2017, 2018 and 2019. 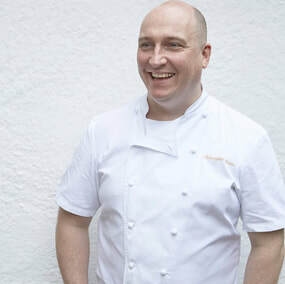 CHEF THOMAS YOUELL, LONDON & L.A. Chef Thomas, now L.A. based, made his mark at London's Palomar bringing his extensive knowledge of international cuisines following many years cooking around the world. "I have been super impressed with Golborne Nash PR. Helen is absolutely fantastic. Responsive, proactive, enthusiastic, organised and above all, committed. Helen turned negative press into positive, and with her assistance we have been able to bring our customers back to Moza. I would recommend the services of Helen and Golborne Nash PR without hesitation" Azid Ullah, Owner, Moza. Television chef, author of 'The Caribbean Cook' published by Penguin, and the owner of Soul Food at Borough Market, Patrick Williams is all about style, passion and creativity. He has taken elements of simple Soul Food recipes passed down from one generation to the next, in every corner of the globe, and transformed them into contemporary classics. 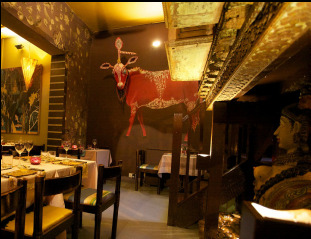 L’Oud Des Eurasie is a boutique restaurant situated just off the King’s Road in the heart of Chelsea London, SW10. The menu is a coming together of contemporary Middle Eastern influences spanning Jerusalem, Lebanon and Istanbul. MOC in Vietnamese means wholesome, clean and true, and are words that sum up the food and service at MOC Kitchen, a family-run business in the heart of Westminster. "We hired Helen in April, by July we had broken even." Lan Nguyen, Owner, MOC Kitchen. Honey & Date raw cakes are made from natural, wholesome ingredients such as almonds, cashews, avocados, dates and coconut cream. All are free from gluten, dairy and refined sugar and come packed with super foods including acai berry, maca, baobab, lucuma and spirulina. Pan de Vie's unique concept combined classic European baking and patisserie methods with exotic flavours of the Far East brought a brand new eating experience to Londoners. Matcha is the hero ingredient in store lending a superior flavour to that of regular green tea, not to mention a vibrant burst of colour to Pan de Vie’s vast patisserie selection. Golborne Nash founder, Helen Hokin was commissioned by Travel Channel International to create, produce and present a TV series embracing food history and culture around the world. The result was an award-winning series exploring chefs, restaurants and food history from Grenada to Taiwan, programmes that transport viewers around the globe, from luxury getaways to culinary quests. "Helen created and produced a highly original TV series for Travel Channel International. She is the consummate professional and I would not hesitate to recommend her." Steve Fright VP Broadcasting. Nudge drinks provides great tasting smoothies that are hassle free to make with no waste. Nudge smoothies are made using fruits that's frozen within a few hours of picking. The 100% fruit products are additive and preservative free making them as healthy and natural as fruits that have just been picked. To make a Nudge smoothie all you need is a blender, a Nudge fruit pouch, juice or milk.